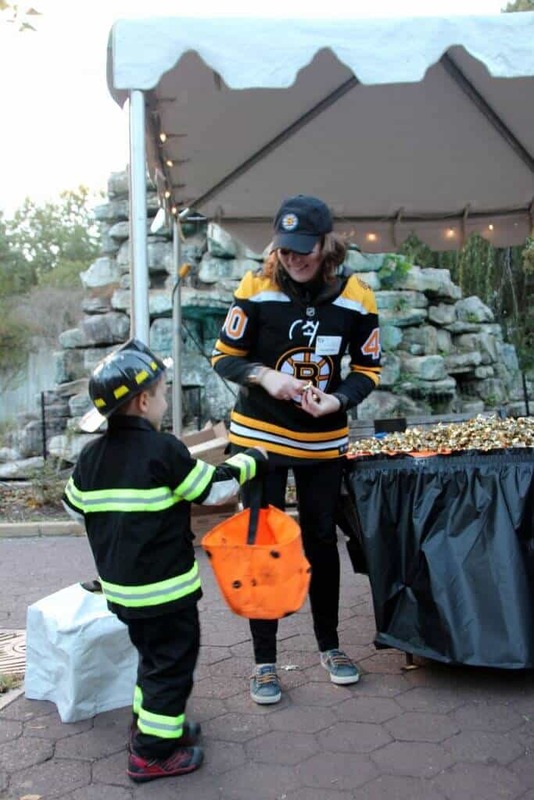 Looking for a fun Halloween event? Look no further than the Smithsonian National Zoological Park (National Zoo DC). 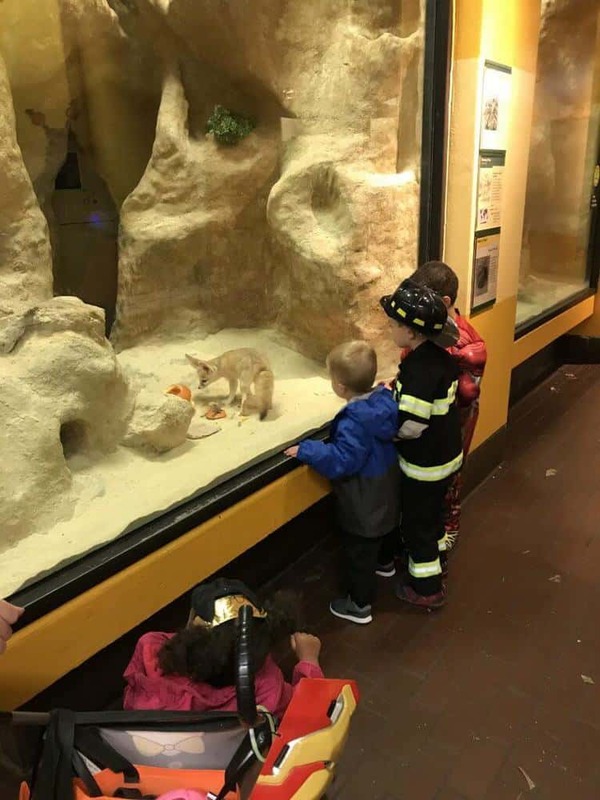 They put on a fun weekend with treat stations, kids dance party and visits with the animals outside of the normal hours. 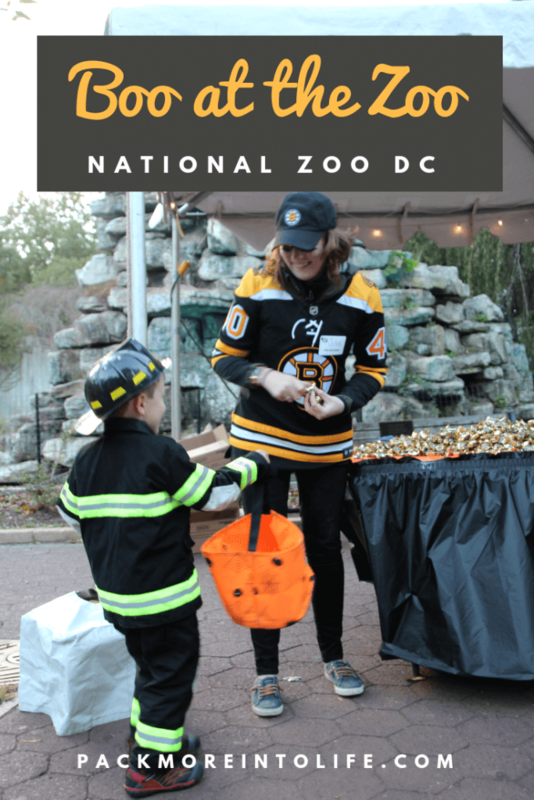 When is “Boo at the Zoo” for the National Zoo in Washinton, DC? It takes place from Friday-Sunday in the middle/end of October. Keep an eye on the website for date announcements and ticket sales. You have a few options. If you want to park in the parking areas, you’ll have to pay for a parking pass. Make sure you get one ahead of time, they do sell out. I’d recommend getting a membership, you’ll save enough money as a family of four on just this event to account for the cost of the membership. Honestly, they are pretty inexpensive and you get “free” ride tickets, access to special events and membership pricing. Check their website to get all the information since they have various packages. Alternative Options: Metro is easy with a metro station just outside of the entrance. 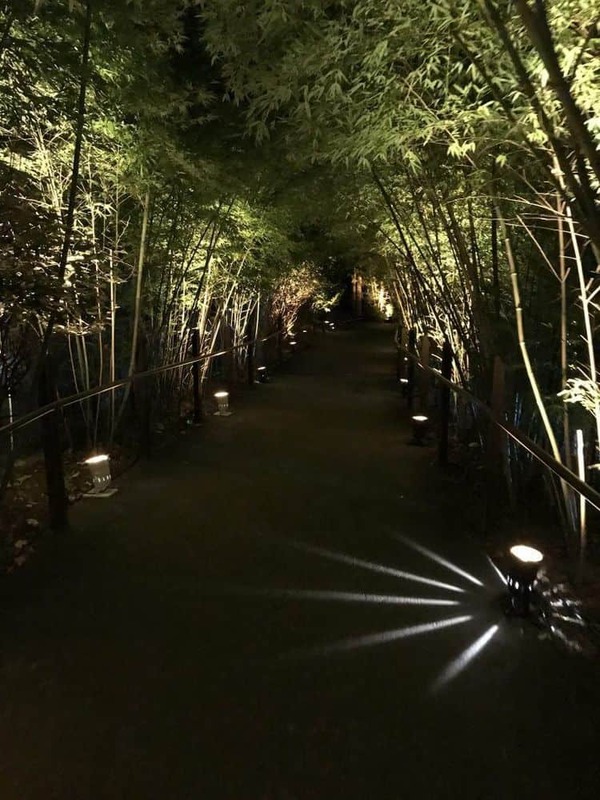 There are also parking garages in the area (but make a reservation on Parking Panda). If you want free parking, head into the surrounding neighborhoods, but prepare for a bit of a walk. Why is the event special? Your ticket will give you access to this fun event. When you get there, you’ll have your tickets scanned and then be given a commemorative Boo at the Zoo treat bag. You’ll use this to get tasty treats from over 40 treat stations. There is a nice variety of treats including stickers, chocolate, pirate booty snacks, chips and more! 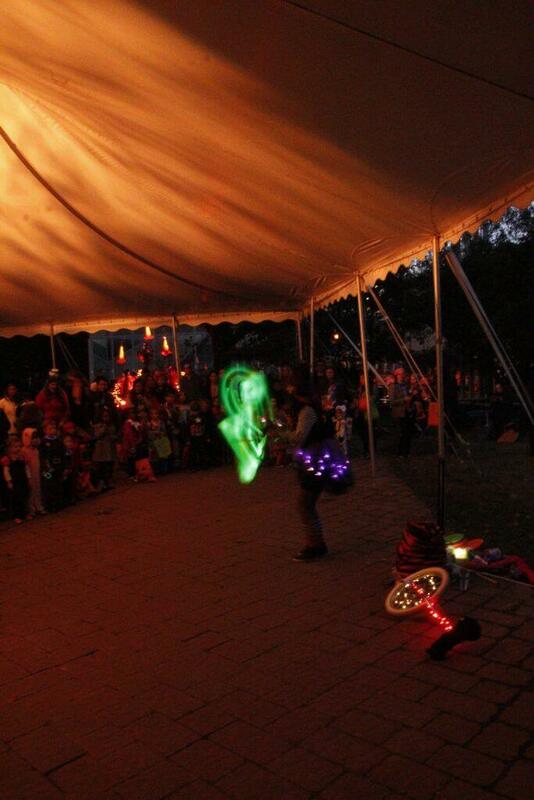 There is also fun live entertainment including a kids dance party with DJ and entertainers. Most of the animal houses are open to exploring (especially fun with the nocturnal animals). How did we spend the evening? We parked in the last parking lot (Lot E) since we arrived close to 5:30 pm. We unloaded and put together my son’s firetruck. We loaded our bag with drinks and snacks (since the zoo is pretty expensive for food). There was a bit of a line forming at the bottom entrance (farthest point from the main entrance), but we saw longer lines at the first two entrances (closer to Connecticut avenue). 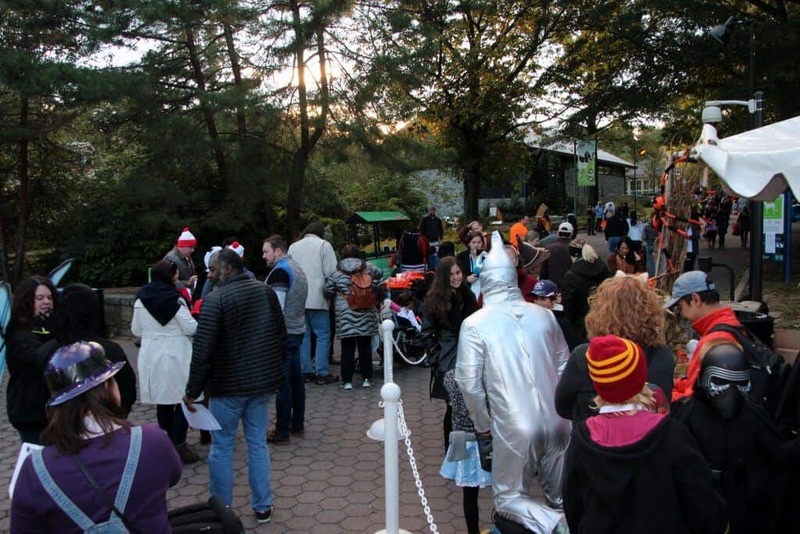 There are plenty of staff and volunteers on hand to keep the lines moving and get people into the National Zoo quickly. Entering at 5:30 pm with the lines, but it goes quickly. 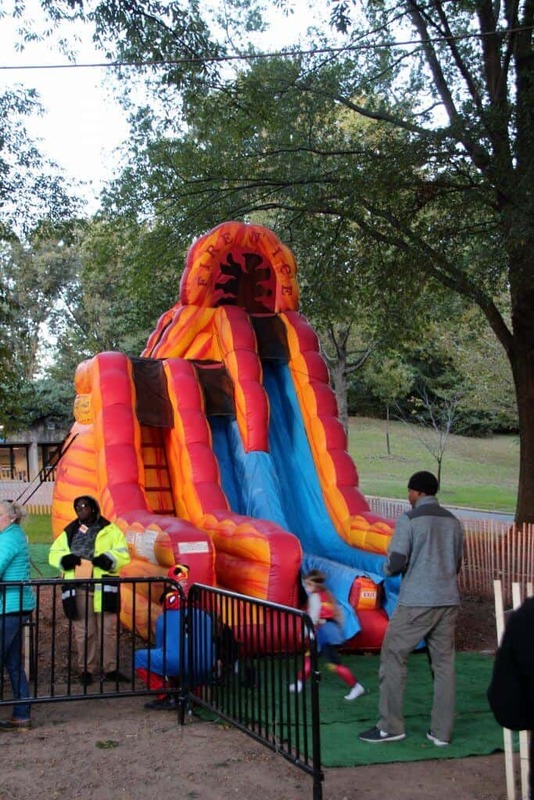 Once we entered, we passed the new playground area (bee themed), children’s zoo and some inflatable slides. It was $1 to ride the inflatable slides, so we kept walking. We grabbed some treats at the nearby treat stations before heading up the hill. 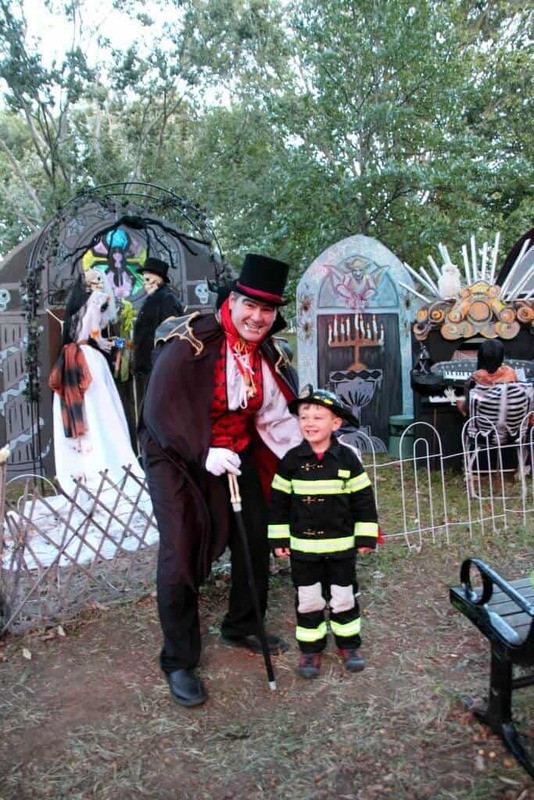 There are many wonderful Halloween displays to enjoy and some feature entertainers. All of the staff and volunteers enjoyed interacting with the kids and didn’t mind the photo opportunities. Fun Halloween displays and staff. 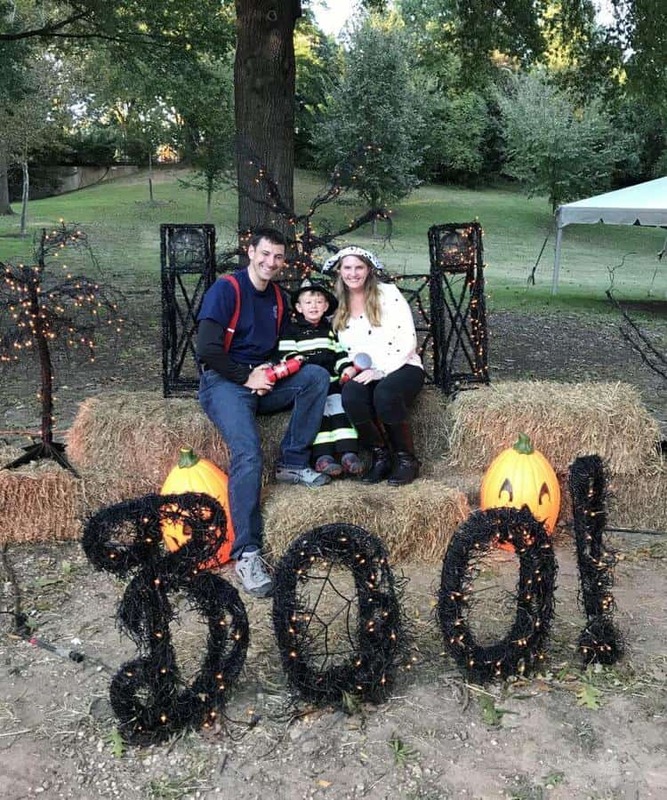 Our son certainly enjoyed the treat stations the best. 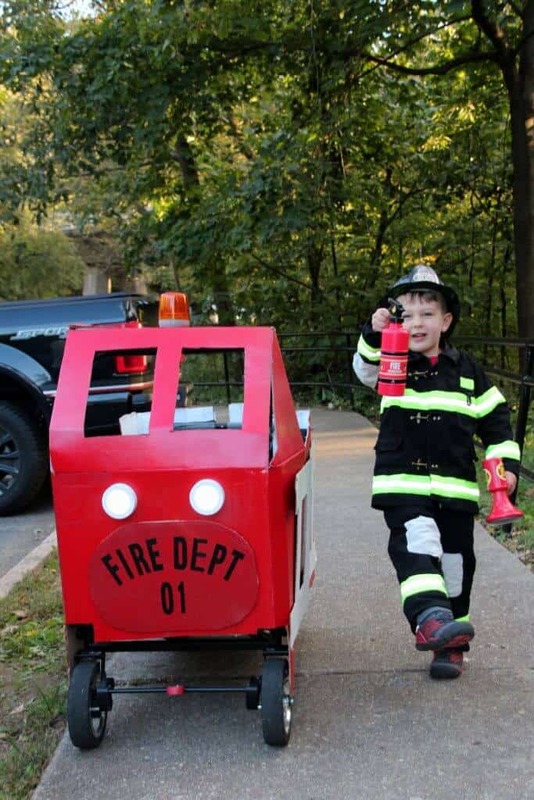 He was well versed with his phrase “trick or treat” by the end of the night. Some stations formed quite the line, but the volunteers kept things moving and we skipped the super long lines and circled back later in the evening. Over forty treat stations with various treats to enjoy. 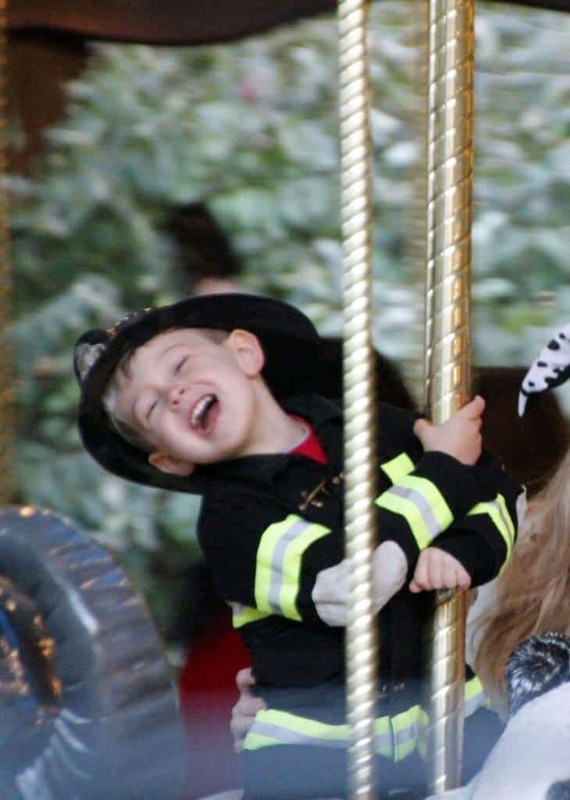 One of the best parts about starting at the bottom of the Zoo is the carousel. I can imagine the line grew throughout the evening, but we hit it first with a bunch of friends. It was $2 per ride (including adults) for non-members and only $1 for members. My husband enjoyed the challenge of getting a photo from afar while the carousel was moving. Another favorite activity is about 1/2 through was the live entertainment and live DJ. Our son and his friends danced away for a good 20 minutes before watching a juggling/light show act. It was a nice respite from the crowds and gave the kids some time to just enjoy a bit of freedom. Live entertainers in addition to a live DJ for kids dance party. After a fun break, we ventured off to grab more treats and visit with the animals. The elephants are always a favorite. The Smithsonian National Zoological Park is all about research, so the elephant seen here is wearing a pedometer on her foot. They are studying the elephants to see if they do the same amount of walking in capitivity as they do out in the wild. 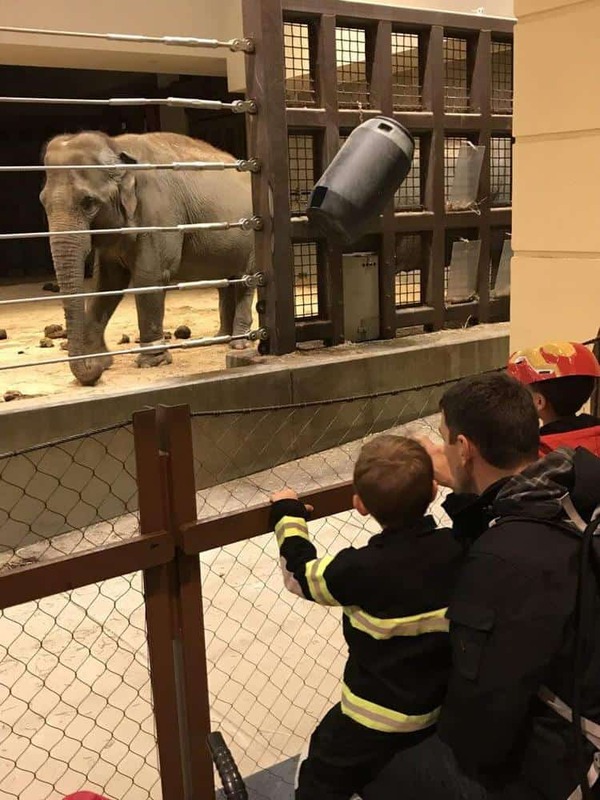 Visiting with the Elephants, always a favorite. Visiting the small animal exhibits were also great because the nocturnal animals were very active, which is always fun for the kids. It is also an indoor area, so perfect to warm up a bit on a cold October evening. The kids were quite impressed! Once we reached the top entrance of the zoo, we took some fun photos with the displays (no crowds) and then wandered the back paths (off the main road) to enjoy the lights. The lighting is beautiful! We wandered all the way back to the bottom entrance and back to our car with a tired toddler who had a blast! -Buy your tickets in advance, including your parking passes. -Arrive 15-20 minutes early to find parking and get situated. -Don’t worry about the long lines at the multiple entrances, the lines go quickly once 5:30 pm rolls around. -If a line is long, skip that treat station and head elsewhere. There is plenty of candy and they constantly refresh. If you stay until 8:30 pm, you’ll be given handfuls! -Bring a stroller or wagon, it’s uphill and downhill terrain. Little legs will get tired. If you enjoyed this post and want to read more, head over to our destinations page to see where else we’ve explored! 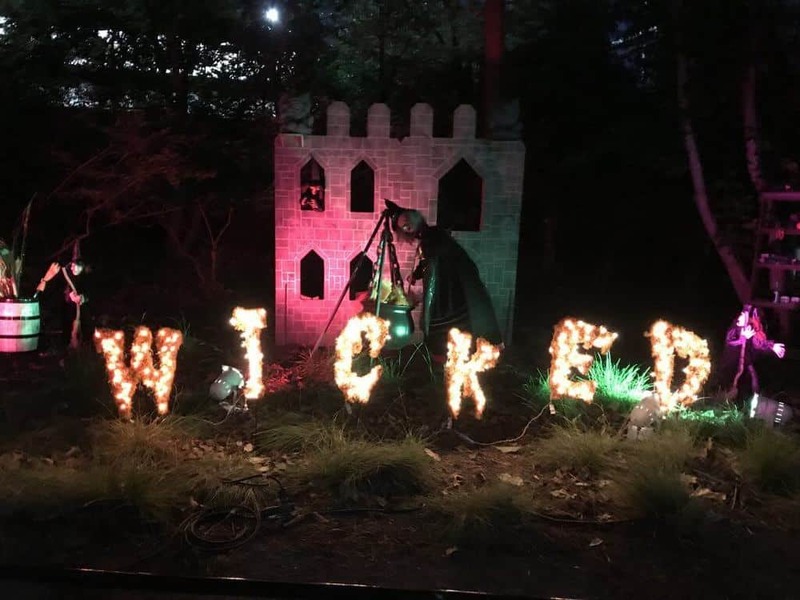 Or if you are looking for more Fall Festivals and Halloween Events, head back to our Favorite Fall Festivals/Events in Virginia post.